But the only PC I had at the time was a 2011 Lenovo ThinkPad X220 laptop with Intel HD 3000 integrated graphics. That just won’t cut it for proper PC gaming. Sure, the laptop would work well enough for older titles like Diablo III, especially on the laptop’s tiny 1366x728-resolution display, but forget about more graphics-intensive modern games on an external 1080p monitor. That’s why I decided to examine external graphics card (eGPU) setups. And indeed, I found entire communities of people creating DIY setups that connected desktop graphics cards to their laptops via ExpressCard or mPCIe slots to play games on an external monitor. It isn’t hard to configure, and using desktop graphics cards with a laptop has become even easier in recent times. The wide availability of Thunderbolt 3 combined with external graphics card docks has simplified the process even more for people with a more modern notebook. Many do-it-yourselfers using Thunderbolt 3 or going the ExpressCard/mPCIe route end up with a plug-and-play experience requiring little to no modification—though it takes some research first. When it’s done, however, you’ll be left with a console-toppling PC gaming setup for about the same price as a new Xbox One S, depending on which graphics card you choose. That’s far cheaper than building a whole new gaming desktop, and you can still take advantage of your laptop’s portability by disconnecting the eGPU hardware. We’ll walk you through the DIY process for configuring an external graphics card later in this article, along with the sudden rise of streaming PC games from the cloud. First, let’s tackle the modern approach of using a graphics card dock via Thunderbolt 3. 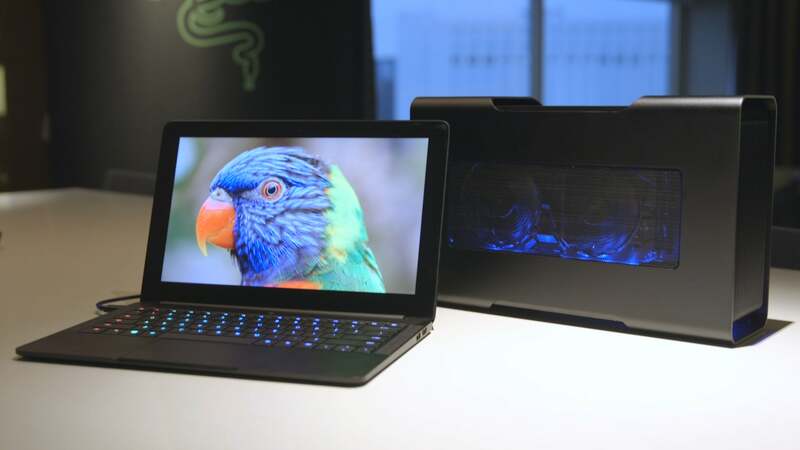 A Razer Core connected to a Razer Blade Stealth laptop via Thunderbolt 3/USB-C.
Thunderbolt 3 (TB3) is Intel’s high-speed external input/output connection, capable of speeds up to a blistering 40 gigabytes per second (GBps) over a compatible USB-C port. For resource-intensive activities like gaming, a speedy connection between your laptop and an external graphics card provides a big boost for performance. 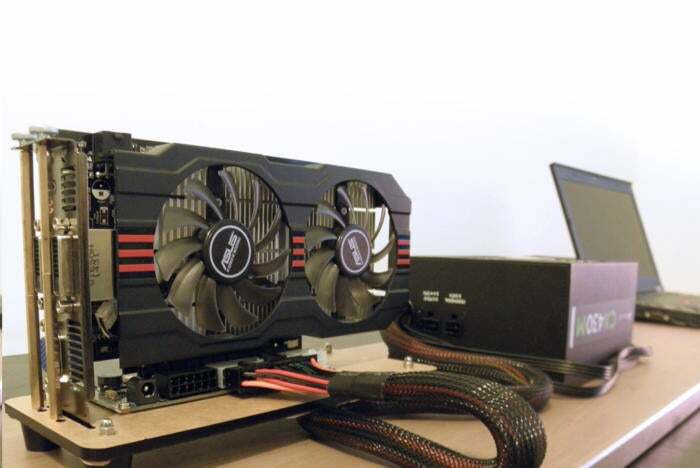 Previous attempts at external graphics card docks existed, but they were usually overpriced and relied on proprietary connection technologies. 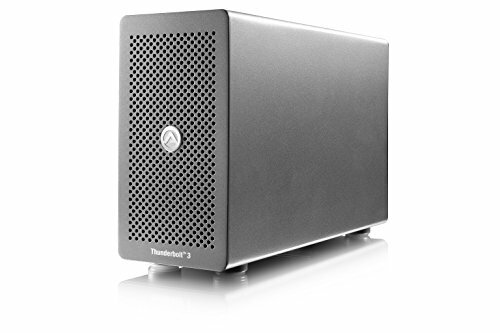 Thunderbolt 3 levels the playing field, and several companies now offer TB3-based graphics card docks, complete with dedicated power supplies, additional ports, and—of course—room to slot desktop graphics cards. All is not perfect in the world of Thunderbolt 3-powered graphics, however. Enclosures are, for the most part, still a pricey proposition—much more so than the DIY method we’ll outline later. You’ll also need a relatively new notebook equipped with a Thunderbolt 3-compatible USB-C port. These days most Thunderbolt 3 laptops and graphics card enclosures play nicely together thanks to Intel’s Thunderbolt 3 external graphics compatibility technology, which PC makers must specifically enable. If you’re in the market for a new laptop compatible with an external graphics card dock, some good choices at this writing include the HP Spectre x360 and the latest Dell XPS 13. Still, Nando, an eGPU expert who is an administrator at eGPU.io, recommends researching your desired laptop model for compatibility with graphics card enclosures before buying just to be sure. Once you’ve got your laptop sorted out it’s time to decide which graphics card dock to buy. We can’t cover all possible enclosures here, as virtually every major PC graphics card vendor is rolling out a graphics dock of its own, but we’ll look at some of the major products introduced in recent months. An opened Razer Core revealing an AMD Radeon Nano graphics card inside. When we looked at the original Razer Core it was the first major TB3 enclosure to make a splash, ostensibly designed for Razer Blade laptops but able to work with any compatible TB3 system. It was also priced at a whopping $500. 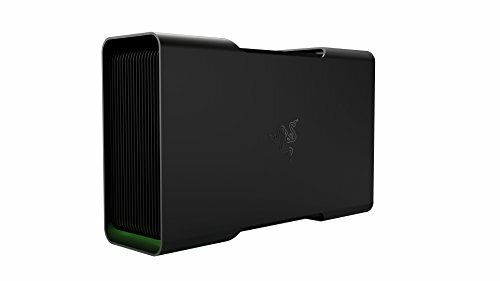 Since then, the Razer Core has split into two different models: the Core V2 and the Core X. The Core V2 costs the same $500 as the original. That’s still far more than most other external graphics docks, but this luxurious model sports four USB 3.0 ports for gaming peripherals, a 500-watt internal power supply, and ethernet. It’s also nice to look at with a CNC-machined aluminum exterior and Razer’s Chroma RGB lighting system. The Core X has a less costly $300 price tag and a 650W power supply, but it lacks USB and ethernet ports. It also lacks the custom-built finery of the Core V2 has since it relies almost entirely on off-the-shelf components. The Core X fits larger cards up to three slots wide. We haven’t reviewed it, but Macworld loved it. 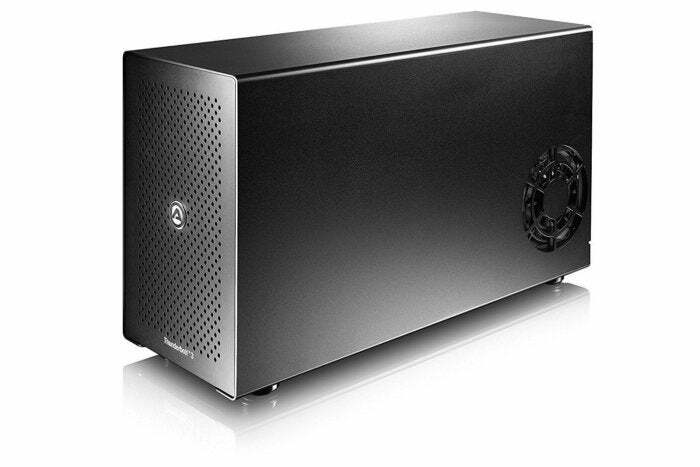 PowerColor’s Thunderbolt 3-based Devil Box was a similarly fancy box that sold for $450 in the early days of external graphics docks. It’s still listed on PowerColor’s site, but it isn’t easy to find. 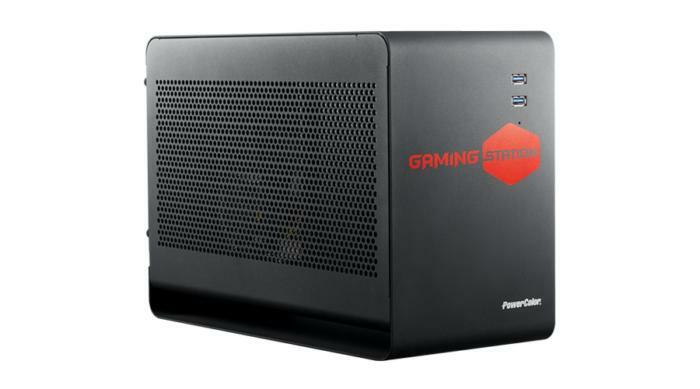 PowerColor’s preferred enclosure is the simply named Gaming Station ($300 on NeweggRemove non-product link). The newer box is rocking a 550 watt power supply, ethernet, and five USB 3.0 ports. PowerColor maintains a list of supported graphics cards and host systems in the specifications section of its Gaming Station webpage. Be sure to check it out before you buy! Akitio has gone all-in on external graphics card docks by offering not one but three models: the Node, Node Lite, and Node Pro. 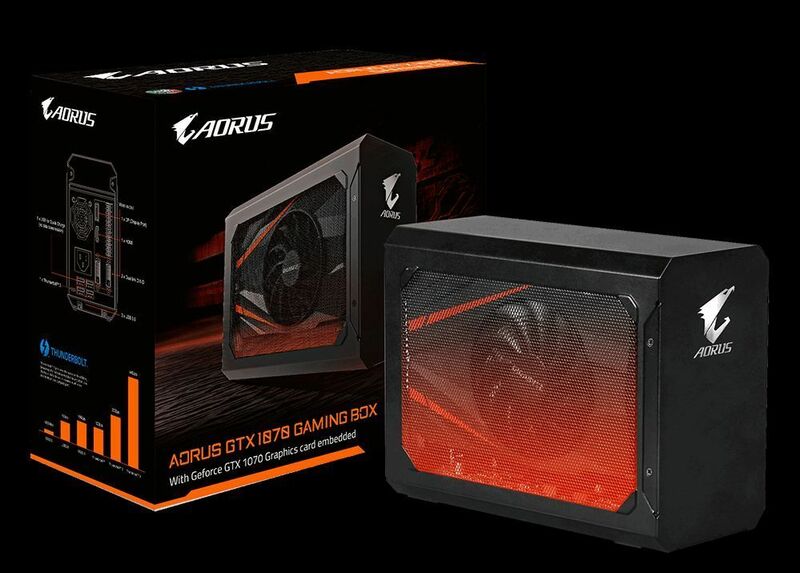 A key difference between most of Akitio’s products and the other graphics card enclosures we’ve seen is that, with the exception of the original Node, Akitio’s are not certified by Intel as external graphics (eGFX) peripherals. Instead, they’re general purpose PCIe boxes. We won’t get into the distinction here, but you can read about it on Intel’s Thunderbolt blog. The original Node packs a 400W power supply and costs $260 on Amazon. It doesn’t offer any extra ports for connecting peripherals, but the enclosure’s lower-priced sibling does. The Node Lite is currently priced around $200 on Amazon. It’s a PCIe-certified box with a DisplayPort port and an extra Thunderbolt 3 port for peripherals, but you’ll need to bring your own power supply as well. Both docks support half-length, full-height, and double-width cards. Finally, the Akitio Node Pro (currently priced at $340 on Amazon) also has a DisplayPort input and a second Thunderbolt port, a beefier 500W power supply, and a handy retractable lunch box handle if you want to take your graphics dock on the road. Those aren’t the only eGPU boxes around. Gigabyte sells the Aorus GTX 1080 Gaming Box, which comes with an Nvidia GeForce GTX 1080 preinstalled for $700 on Amazon, or a version with a GTX 1070 included for $550 on NeweggRemove non-product link. Zotac sells the Amp Box and the Amp Box Mini PCIe enclosures. Heck, even Apple’s rolled out support for eGFX boxes to MacBook users with macOS High Sierra. And for anyone with a compatible Alienware laptop there’s also the Alienware Graphics Amplifier, which uses a proprietary connector but only costs $170 on Amazon. Asus, HP, Lenovo and many other companies also offer Thunderbolt 3-based graphics card docks. It’s safe to say that external GPUs are a full-fledged trend now—albeit a niche one. Now, let’s get into transforming older notebooks into gaming machines with our DIY eGPU guide for the Thunderbolt 3 deprived. Next page: Diving into DIY external graphics.